While staying with relatives in the Taipei area, I had the fortune of attending a college-level lion dance competition, and it was a pretty cool experience. 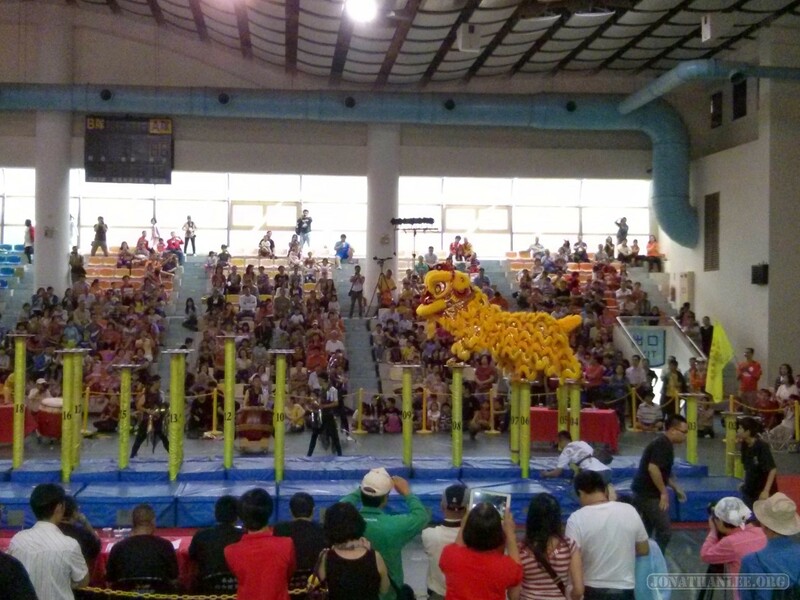 For the uninitiated, the lion dance is the great Chinese cultural dance, representing…. something. I’m not sure. But in Chinatowns all around the world, there is certain to be a lion dance display for (Lunar) New Years. Basically, you’ve got two+ people in a lion costume, jumping around. It looks more impressive than it sounds.